Opportunity Knocks! Now is your chance to own a one-story villa with a one car garage in the Lansbrook Area. 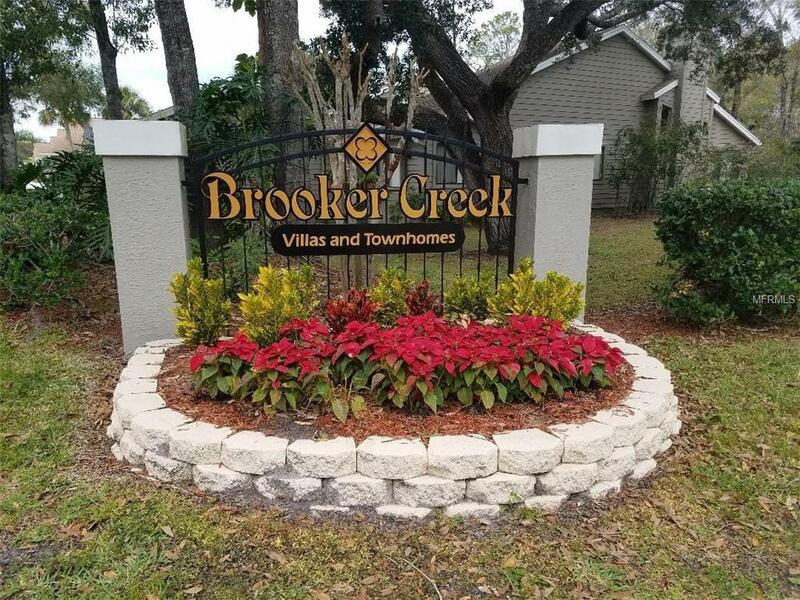 Brooker Creek Villas and Townhomes is a quiet enclave with a private entrance to John Chestnut Park, community pool and close to the YMCA, shopping and schools. Charming curb appeal with a paver-lined entry and front courtyard leading to the leaded glass front entry door. 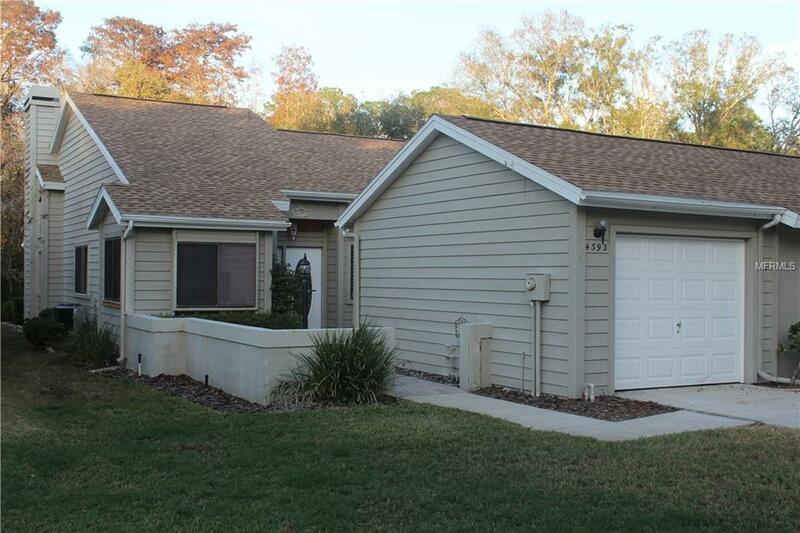 This is a 2 bedroom, 2 bath, great room floorplan that includes a light and bright Bonus room overlooking the creek and conservation area. The back patio overlooking the creek offers one of the best views in the community. 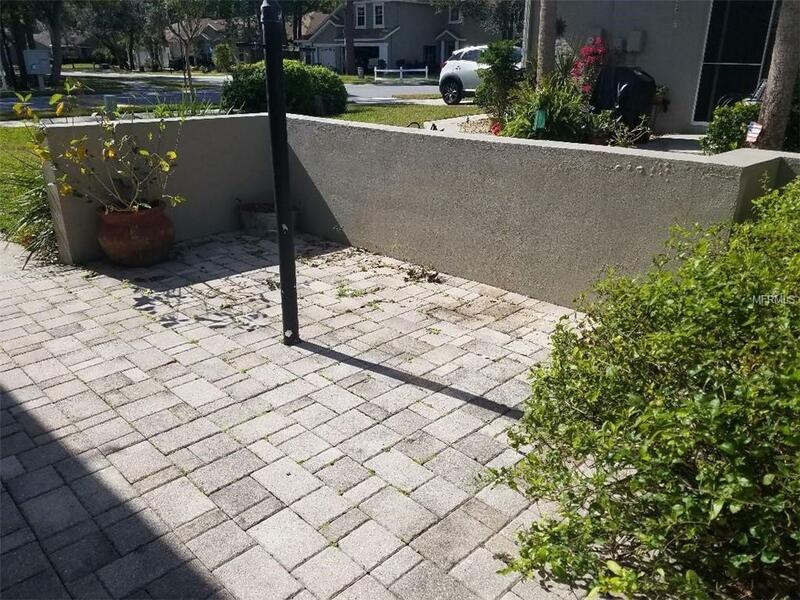 You will love the upgraded kitchen with white, raised panel cabinetry including some glass doors, granite counters, double st. steel sink, breakfast bar, st. steel appliances plus a sunlit breakfast room that looks onto the front courtyard. 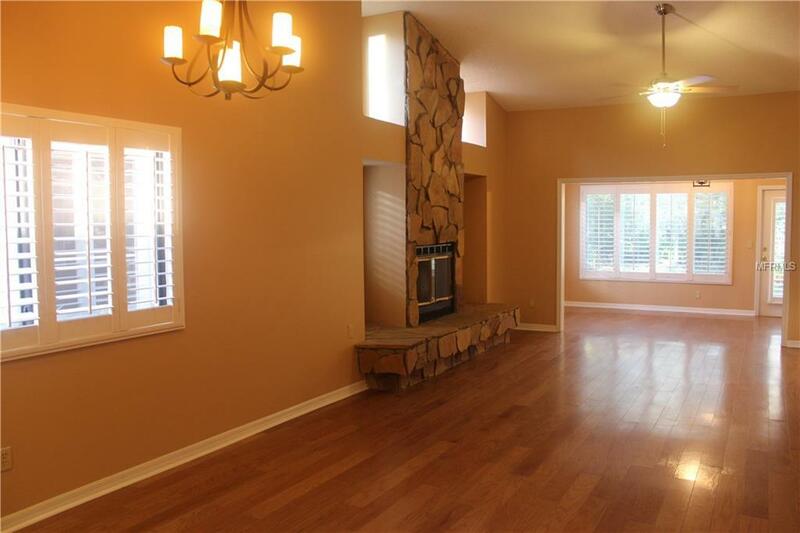 Beautiful wide-planked wood flooring runs throughout. The Great Room includes a stunning stone-lined wood burning fireplace plus there are decorative Plantation Shutters on all the windows. The master suite includes a marble top vanity, dressing area, walk in closet and a large shower. There is a washer/dryer hookup in the unit, spllt plan and a large walk in closet in the front guest bedroom. Other features include volume ceilings, oversized one car garage, and more.